Welcome 2018 and welcome Julian Montebello to our team! Julian brings a wealth of local knowledge and years of real estate experience to our team. Born and raised in Altona, Julian brings a passion to work within the Hobsons Bay community in which he still resides in. Having grown up around the family business in Harrington Square, Julian brings a lifetime of knowledge and memories of the area. Julian has a strong eye for detail alongside a desire to negotiate the best possible outcome for all parties involved. Hardworking and not afraid to put in the extra mile, Julian's thoroughness and determination is an asset to your sales experience and our team. Call Julian today on 0406 883 980. We are excited to announce the newest member of Katie Smith's family, Teddy William. Born Wednesday 8 November at 6:08PM, weighing 8 Pounds. 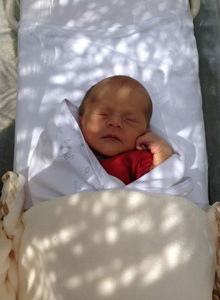 Congratulations to Lauren Wood and her husband Aaron on the arrival of their beautiful baby girl, Georgie Kay Wood. In Lauren's absence, Michael Harvey and Rebecca Larre will be assisting with any of your real estate needs. changes to how properties must be advertised and promoted. allow more accuracy regarding quote prices. The changes are designed to crack down on underquoting. changes and to continue to work efficiently with all potential buyers and vendors. Food Court, Music, Raffles, Prizes, Stalls, Rides, Famiily Activities, Entertainment, plus our very own Michael Harvey will be conducting an Auction! We sold 100% of our scheduled Auctions for the month of February! This Saturday 18 February is the Official Start to the Williams Auction Year! We look forward to meeting you at one of our Open for Inspections or Auctions this weekend! We hope 2017 is the year Williams Real Estate help you find your dream home or investment property. 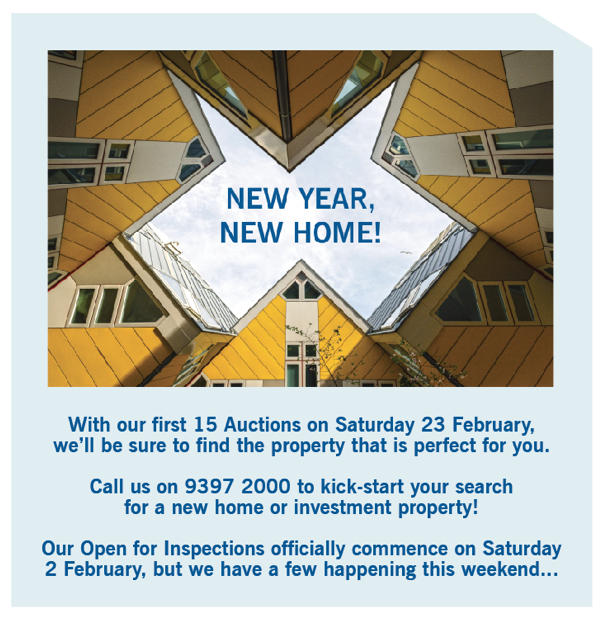 Open for inspections are commencing this weekend, January 14/15. Come and visit us or send an email with your buying requirements so we can assist you with your search. It's that time of year again... The AFL Grand Final is here!!! Wishing all the Western Bulldogs and Sydney Swans supporters the best of luck... Let’s Go Doggies! A reminder that Daylight Saving begins Sunday 2 October at 2:00AM. Don’t forget to turn all your clock's forward one hour and at the same time, change the batteries in your smoke alarms. We are proud to announce our involvement in The Mill, located at 6 Paine Street Newport. 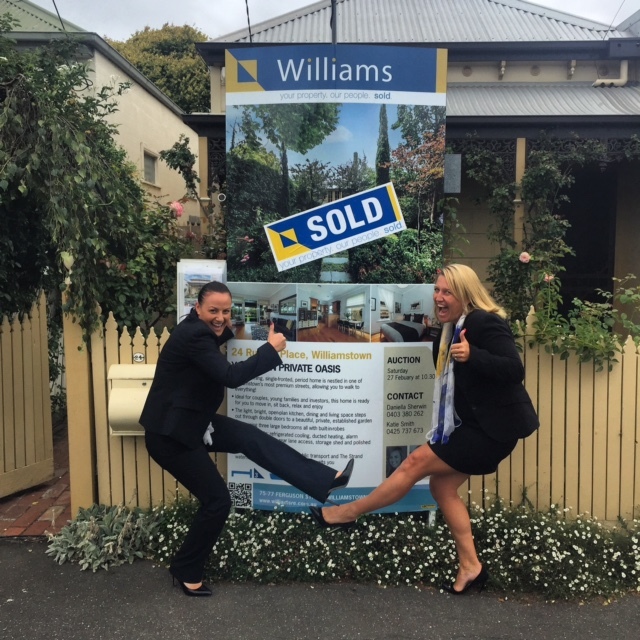 Over the last 12 months in Williamstown, Williams Real Estate have successfully sold at or before auction, with a clearance rate 13% higher than all of our competitors combined. There is light (and sun) at the end of the tunnel as we get closer to the end of winter! The winter selling period has continued to deliver record breaking sales results across the local area, and with an increasing number of new listings, the market is expected to remain positive. Auction numbers are on the rise and so too comes the promise of a strong, spring selling season. There is a shortage of homes on the market, which is proving to be frustrating for us all. Stock levels will increase for the Spring market but for now, the best advice I can give to you is, if you see the home you want, just give it a go! Waiting for homes to come up can take a long time… Act now if possible! After 53 days of 90th Birthday celebrations, the Queen is exhausted! Many agents chose not to schedule auctions on Saturday, which we found worked in our clients' favour. We had huge numbers at both of our auctions and four parties competitively bidding at each of our auctions. Please feel free to contact us if you need assistance with buying, selling, renting or managing your investment property. Happy Clients = 100% Job Satisfaction... We love doing what we do! If you are thinking of buying or selling, or would like some general real estate advice, please don't hesitate to call us on 9397 2000. Williams Real Estate... Celebrating 34 Years in Business - Since April 1982! Just a reminder that Daylight Saving will end on Sunday 3 April... Clocks will go backward one hour at 3.00am. 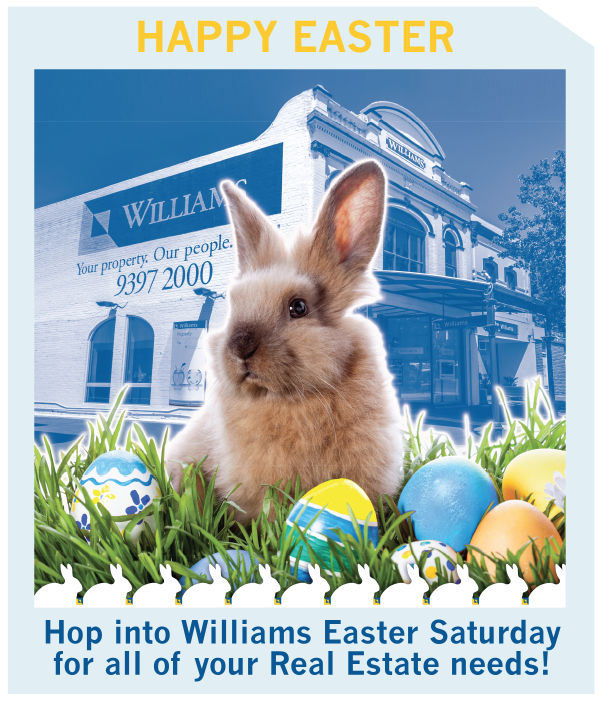 Hop into Williams on Easter Saturday for Egg-cellent customer service... We will be closed Good Friday, Easter Sunday and Easter Monday! 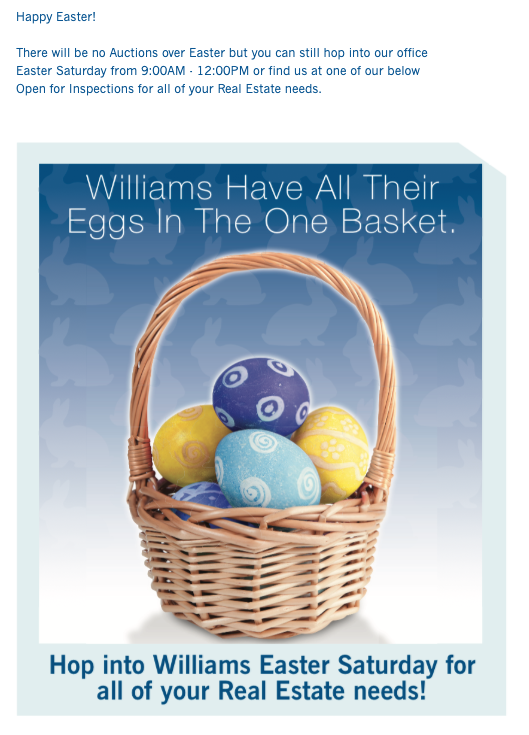 At Williams, we love what we do, and we have fun doing it! We would like to take this opportunity to thank you for your support throughout 2015. We will be available to assist you with all your Real Estate needs during the Christmas & New Year period, excluding the public holidays being Friday 25th, Saturday 26th & Monday 28th December 2015 & Friday 1st January 2016. Outside of these dates, our office is open 7 days a week; Monday – Friday (9am – 5.30pm), Saturday (9am – 4pm) & Sunday (10am – 4pm). We will be closing at 4pm on Christmas Eve. We wish you all the best this festive season! In the event of inclement weather, carols will take place in Altona Meadows Community Centre. In the event of inclement weather, carols will take place in Holy Trinity Church, Nelson Place, Williamstown. We would also like to let you know that Nathan, after two and a half years, and Rosemary, after many years, have moved on from Williams Real Estate, looking to start a new venture in 2016. We want to ensure you that we will continue to look after all your real estate needs now and in the future. 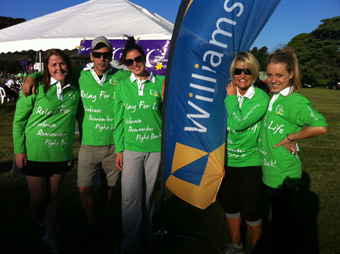 We are very proud of the Williams brand and the longevity that we have within this community. Celebrate Christmas with your local traders, stalls and activities... We will be open! Only in Melbourne would be receive a public holiday for a horse race! Looking forward to the Melbourne Cup this Tuesday 3rd of November, we wish for safe and happy celebrations for those taking the long weekend. 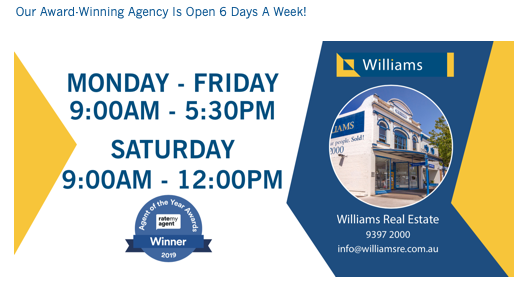 However for those still committed to finding that perfect home or investment property, come and visit the friendly Williams team at any of our 30 homes that will be open for inspection this weekend. Sunday 4 October - Daylight Saving begins, clocks will go forward one hour at 2:00AM. AFL Grand Final Public Holiday - Friday 2 October! Wishing West Coast and Hawthorn the best of luck... May the best team win! Remember to stay safe and enjoy the celebrations this weekend! VFL GRAND FINAL - Congratulations WILLIAMSTOWN!!! Williamstown celebrates their first premiership in 12 years, after defeating Box Hill by 54 points at Etihad Stadium. 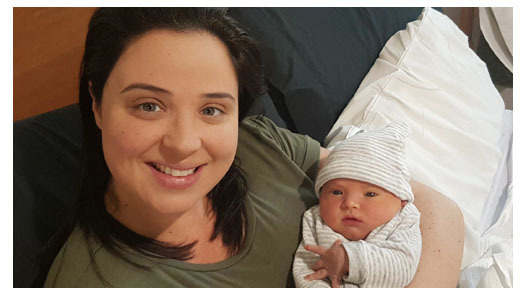 A huge congratulations to our Advertising and Marketing Coordinator Casey, on the arrival of her beautiful baby boy on Monday 24 August. Please don’t forget to let family and friends know about the wonderful service that we provide. If you refer a friend or family member to lease or manage their investment property before the end of July 2015, as a thank you, you will receive a bottle of VEUVE! We often get calls from clients, asking about their family or friends who are interested in entering the exciting Real Estate Industry. Our advice to all, would be to contact the REIV in Camberwell and book in to complete the Agents Representative Certificate. It is a 5 day, full time course, giving you an overview and insight into the industry. Obtaining this certificate will give you a head start into applying for roles as they come up! The biggest and boldest literary festival in Melbourne's West! Have you ever missed a call or not answered a call because you don't recognise the prefix? If you answered yes, then you could be missing calls from us! 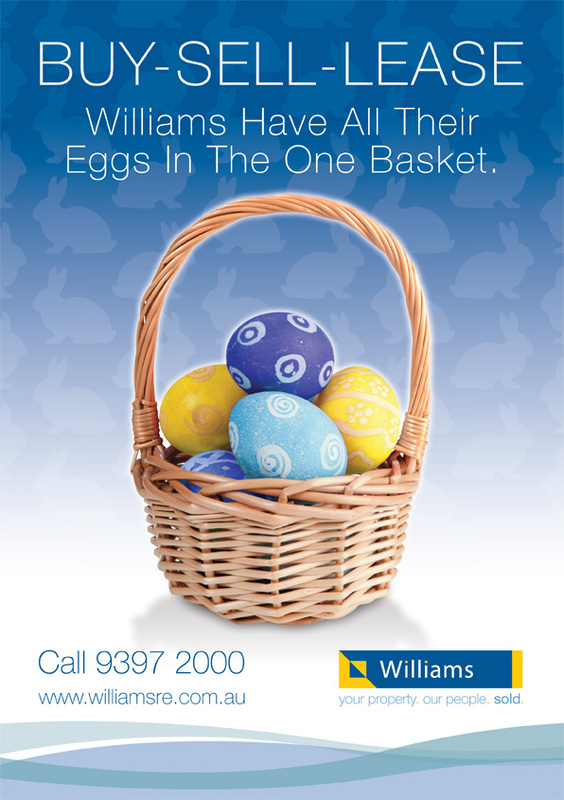 All calls coming from Williams Real Estate start with 8340… Be sure to answer that next call! Wishing all Mothers, a Very Happy Mother’s Day for Sunday 10 May! A fun community event not to be missed! Plenty of pre-loved goods for sale + live music all day! Books, homewares, cds, toys, vintage clothes, face painting, cakes, biscuits, coffee sausage sizzle, fairy floss... All proceeds towards the restoration of this historical building in the heart of Newport. With 30 Auctions already scheduled for the first quarter, we are well and truly on our way for yet another bumper year. We are still working with existing buyers, together with fresh people coming in to the market for 2015... 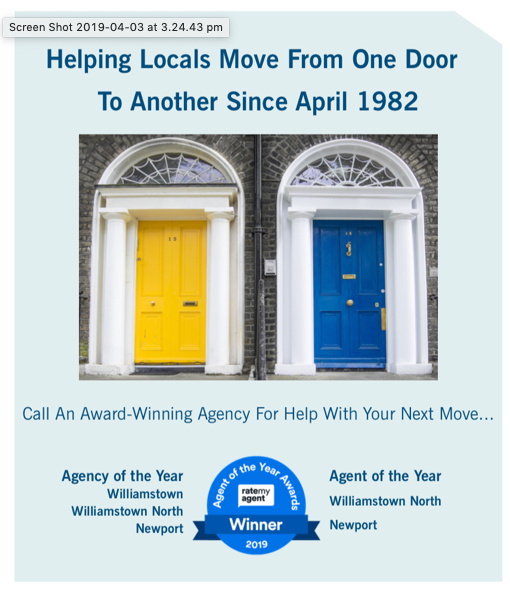 If it's buying, selling or renting, don't hesitate to contact the areas Number 1 Agency! 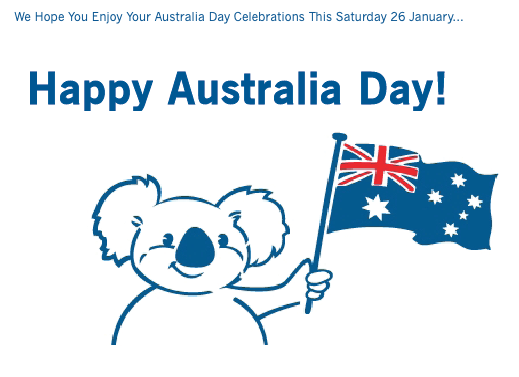 Monday 26 January - Wishing Everyone a Safe and Happy Australia Day! With over 30 years of Real Estate experience in the local area, our highly trained staff at Williams will be sure to point you in the right direction. Love, happiness and peace are the ingredients for a wonderful Christmas. We hope you find them all this festive season. Williams Real Estate would like to take this opportunity to thank you for your support throughout 2014. 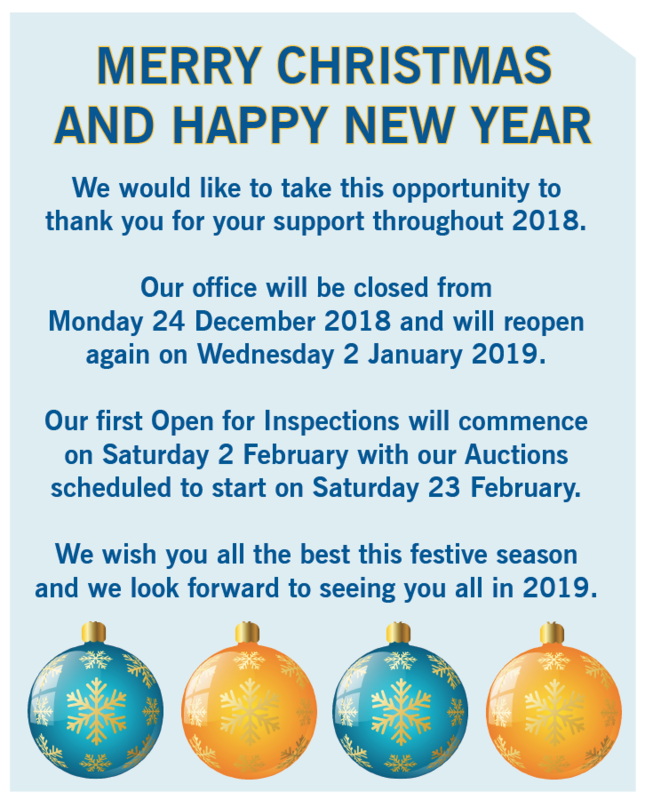 We will be available to assist you with all your real estate needs during the Christmas and New Year period, apart from the public holidays being 25 & 26 December 2014 and 1 January 2015. Monday - Friday (9am - 5.30pm), Saturday (9am – 4pm) & Sunday (10am – 4pm). We will be closing at 3pm on Christmas Eve. - Guessing Game - How Many Chocolate Santa's In The Jar? 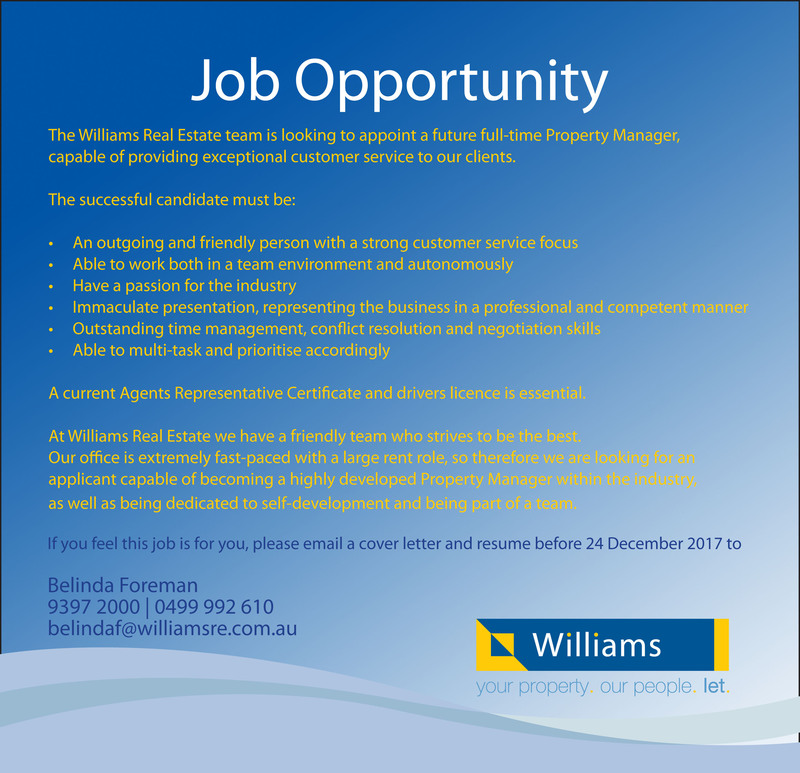 The Williams Real Estate team is looking to appoint a future full time Property Manager, capable of providing exceptional customer service to our clients. A current Agents Representative Certificate and drivers licence is essential. fast-paced with a large rent role, so therefore we are looking for an applicant capable of becoming a highly developed Property Manager within the industry, as well as being dedicated to self-development and being part of a team. If you feel this job is for you, please email a cover letter and resume to [email protected] before Monday 17 November 2014. The weeks are counting down to list your property before the holiday season. If you are thinking of buying or selling, it is a great idea to visit open for inspections, attend auctions and to study the local market. Sunday 5 October - Daylight Saving begins on Sunday, clocks will go forward one hour at 2:00AM. It's that time of year again... AFL Grand Final is here! Wishing Sydney Swans and Hawthorn the best of luck... May the best team win! 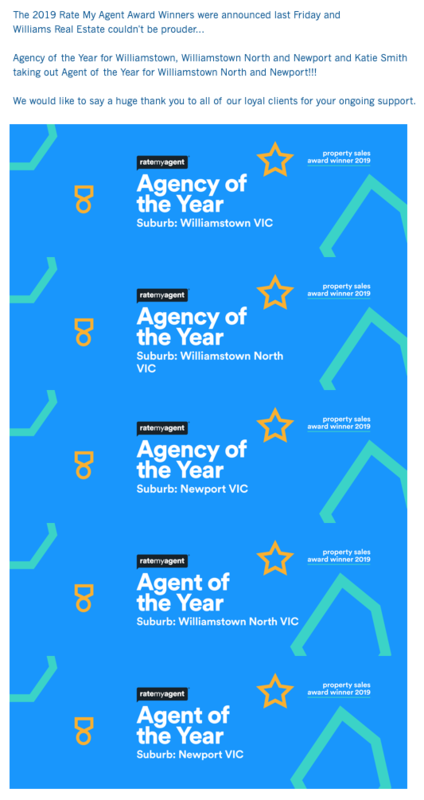 Williamstown North Primary School presents "The Social Event of the Year"
Now is the ideal time to list your property for sale... Have a Winter Auction and limit your competition! Rug up in your winter woollies come rain, hail or shine and enjoy all that Williamstown has to offer at the inaugural Winter Solstice Street Festival on 21 June from 10am to 4pm. The Street Festival will feature free street entertainment, face painters, carnival rides and games, not to mention incredible in store sales and special offers from some of your favourite local businesses. 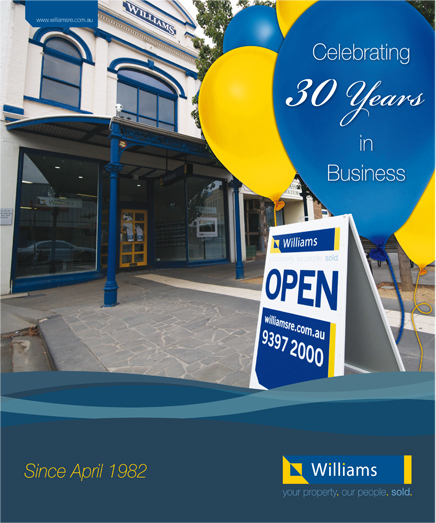 Check out The Maribyrnong & Hobsons Bay Star Weekly this Wednesday 18 June to find out what Williams Real Estate are offering! Shakira Hussein, Jean Kittson, And many, many more. A big congratulations goes to Lauren Montebello on marrying her partner of 10 years, Aaron. To all her valued and future clients, she now becomes Lauren Wood. A reminder that Daylight Savings finishes Sunday 6 April at 3.00am. Don’t forget to change your clocks back one hour and also change your batteries in your smoke alarms. The Williams Real Estate team is looking to appoint a Residential Property Manager to the business, capable of providing exceptional customer service to our clients. Home Road Kindergarten - OPEN DAY! Face painting, craft activities, visit from "Zoom the Clown", cake stall and yummy sausage sizzle! If you're thinking of selling, please don't hesitate to speak to one of our leading experts about listing your property for sale. Agents Representative is a must... Experience is a bonus but not essential. Williams Real Estate would like to take this opportunity to thank you for your support throughout 2013. We will be available to assist you with all your real estate needs during the Christmas and New Year period, apart from the public holidays being 25 & 26 December 2013 and 1 January 2014. 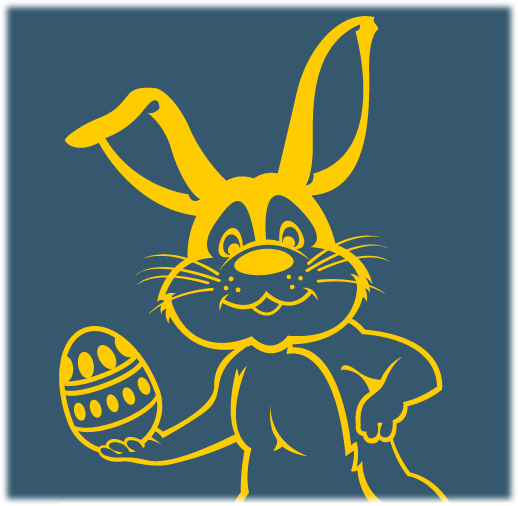 Our office is open Saturday (9am – 4pm) & Sunday (10am – 4pm). Please register your interest to attend by Friday 1 November. Wishing Hawthorn and Fremantle the best of luck... May the best team win! Manager to the business, capable of providing exceptional customer service to our clients. Showcasing The Artistic Talents Of Our Students! The Williams Real Estate team is looking to appoint a Leasing Consultant to the business, capable of providing exceptional customer service to our clients. Agents Representative and experience are a bonus but not essential. Michael and Katie would like to welcome Nathan Smith to the team at Williams Real Estate. Nathan brings a wealth of local knowledge and many years of real estate experience to our team. Having worked extensively in the local area with another agency, we are truly excited about Nathan’s transition. expertise that go hand in hand with our current position as market leaders. property market, call Nathan anytime. Nathan Smith, Licensed Estate Agent, 0400 843 331. Williamstown Town Hall - Celebrating 10 years of words and ideas! Williamstown North Primary School - FAMILY FETE Sunday 24 March, 10.00am - 3.00pm Melbourne Road, Williamstown Buy ride bands from 1 March - $20 at school office or $30 on Fete Day! Interest rates remained the same this month, sending a positive vibe through the community... With rates at this level, it is a perfect time to buy your first home or upgrade! If it's buying, selling or renting, we have the market covered! 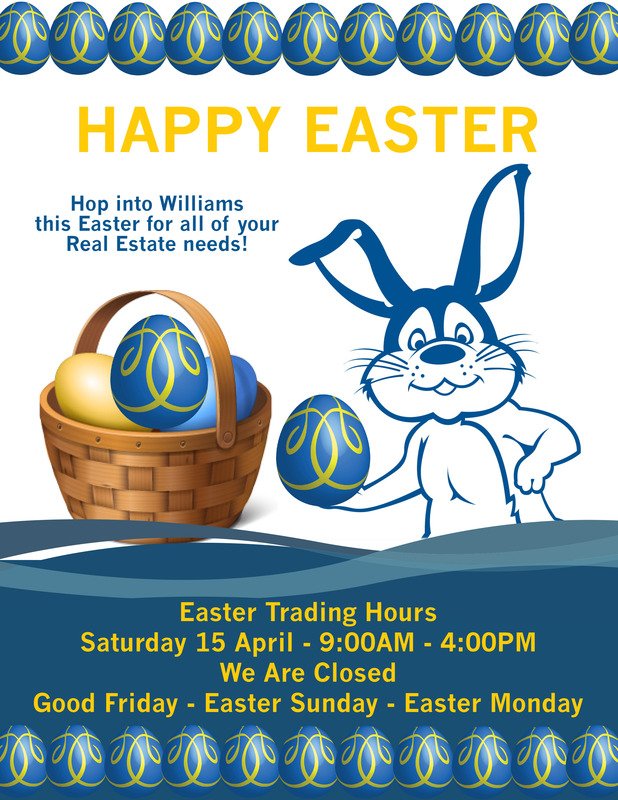 From Katie Smith, Michael Harvey and all the team at Williams Real Estate. 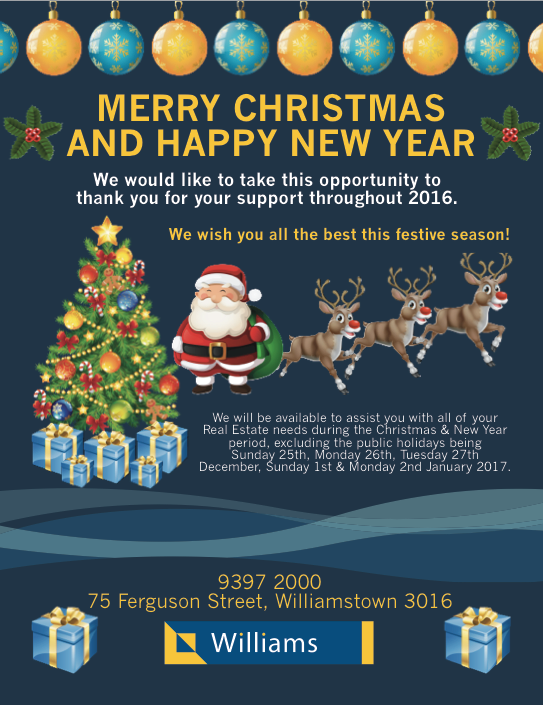 Williams Real Estate would like to take this opportunity to thank you for your support throughout 2012. 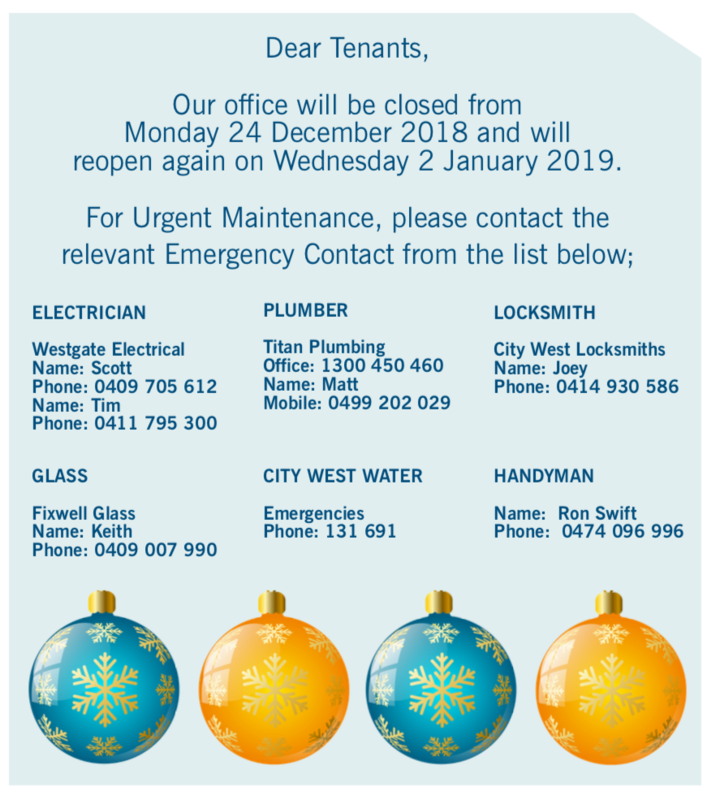 We will be available to assist you with all your real estate needs during the Christmas and New Year period, apart from the public holidays being 25 & 26 December 2012 and 1 January 2013. 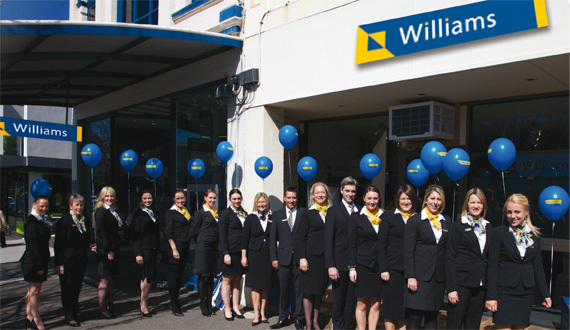 Located right next door... 75 - 77 Ferguson Street, Williamstown! 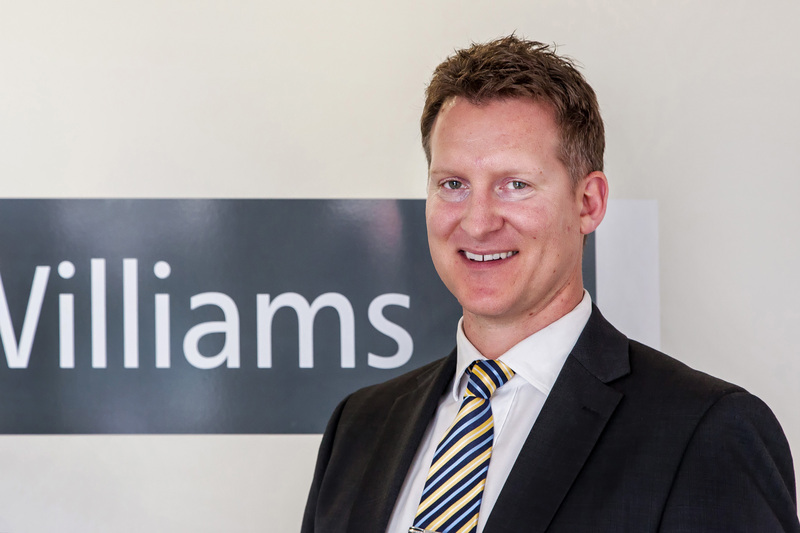 "We have used Williams Real Estate in buying and selling our property and in both aspects have been a pleasure to deal with. 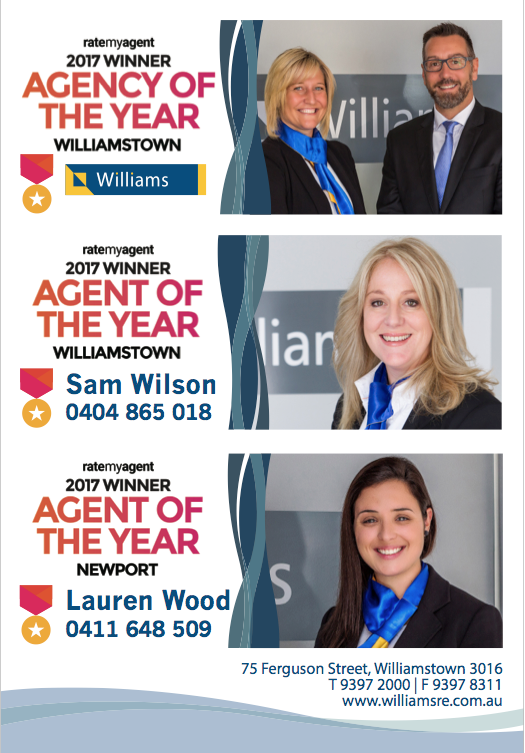 Lauren and the Williams team have been very impressive with their professional and friendly approach and commend them for their efforts and dedication. By far they are the best agents I have dealt with and would not hesitate in recommending them to anyone. Thanks Lauren, you’re a star !!" Regards, George. 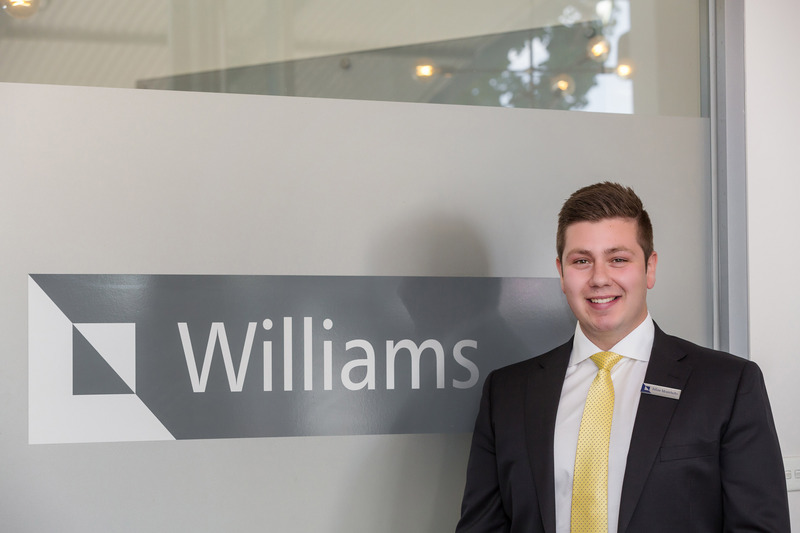 "I recently interviewed a number of real estate agents in the Williamstown area and was massively impressed with the professional response from Williams in Williamstown. Meeting Katie and Lauren for the first time was a delight. They really understood the feel of our home and the years of history we had created in it. I was also impressed with their sales and advertising approach. Although our house is not yet on the market, I am confident that the process will be as professional as it has been so far. I am sure I will be writing another glowing review after the process is completed." Regards, Ludwina. "From my first meeting at a house inspection presented by Katie Smith, I have found her and her team most helpful with advice on the local property market. Katie has continued to keep me informed and up to date with all of my enquiries and when I decide to purchase a property I will not hesitate in choosing Katie as my preferred Real Estate Agent. Her assistance and advice has been exceptional." Regards, Julie. "Just also a quick note to you as director to say both Scott & I have been over and above happy & impressed with Courtney on the occasions we have had to make contact since we signed & moved in. If I remember back when we signed we were one of her first tenants & in business ourselves is nice to hear feedback other than negative." Regards Andrea. "You have a great team at Williams Katie you must be very proud of them and I'm sure their great performance is a result of your guidance and efforts with the development of the business. I'm really happy with how everything is going and looking forward to getting to market!" Sam. 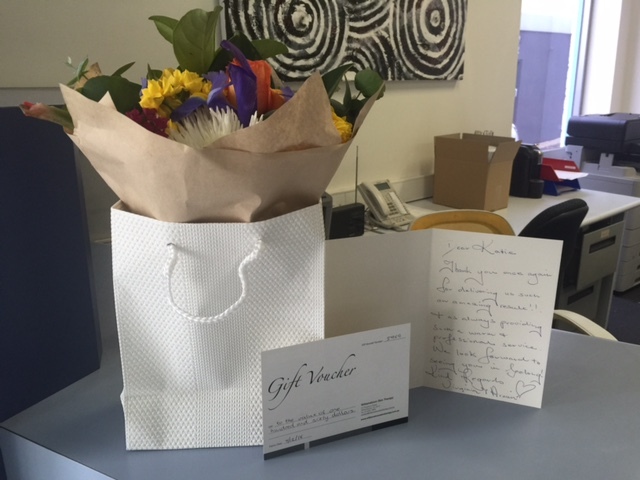 "Michael and Team, We are truly humbled by the professionalism and common courtesy shown by You and your Team, particularly given the circumstances in the sale of Mum’s Home. These types of traits clearly put you ahead of the others." Sincere Regards, Kevin. Approachable and professional, Sam brings a wealth of experience and prides herself on her ability to match people to property to help both buyers and sellers achieve optimal results. Sam is passionate about real estate and believes in the importance of providing her clients with individual and personal service, making the sales process as smooth and stress-free as possible and exceeding their expectations! 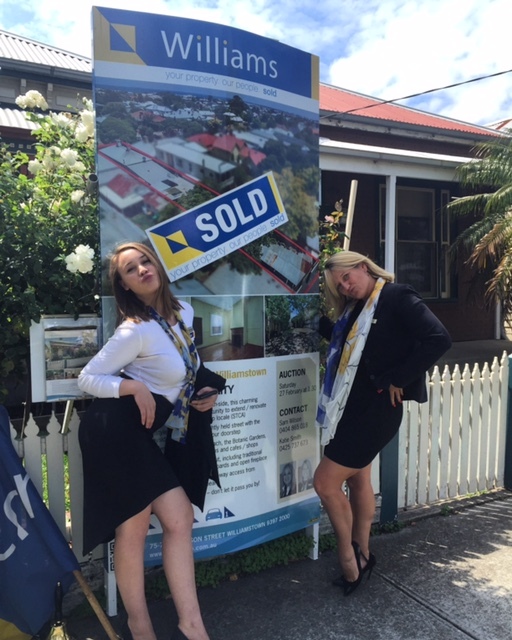 THE POWER OF OUR DATABASE... 191 Hudsons Road Spotswood - SOLD in less than ONE WEEK for $770,000!!! 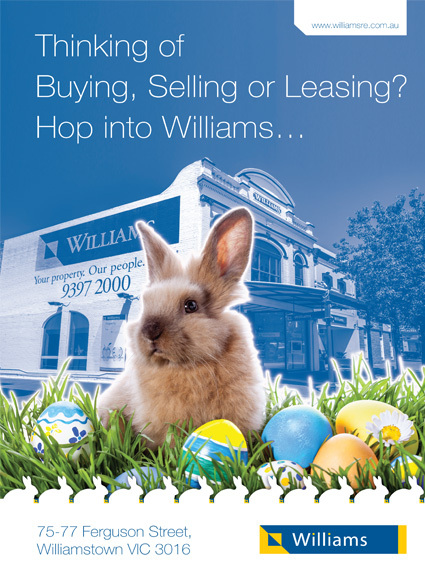 March was a BIG month for us at Williams Real Estate, with property sales pushing over $8.5 million for our clients! 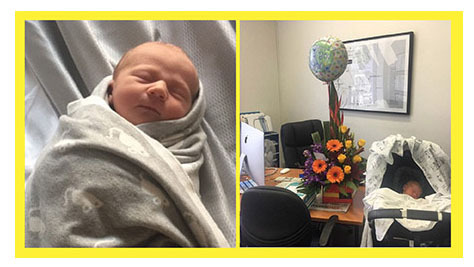 Congratulations Katie Smith and Michael Kennedy on the safe arrival of their beautiful Baby Thomas. Mother and baby are both great! Guess who listed and sold (within one week) 'The Most Expensive House in Hobsons Bay for 2011?' That’s right... We did!! 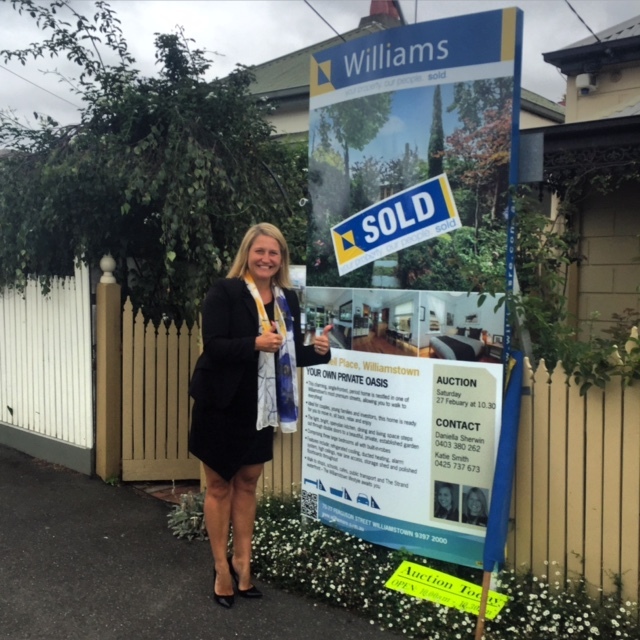 Our very own Michael Harvey had the pleasure of offering 39 Hannan Street Williamstown for sale! Wishing everyone a Merry Christmas and a Happy New Year from the team at Williams! 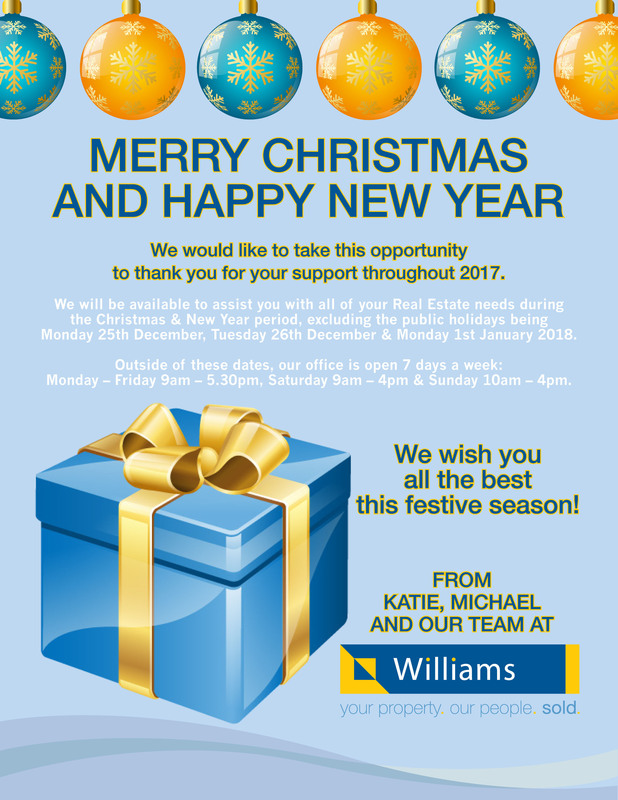 Williams Real Estate will be available to assist you with all your real estate needs during the Christmas period, except for the public holidays 26 & 27 December 2011 and 2 January 2012. 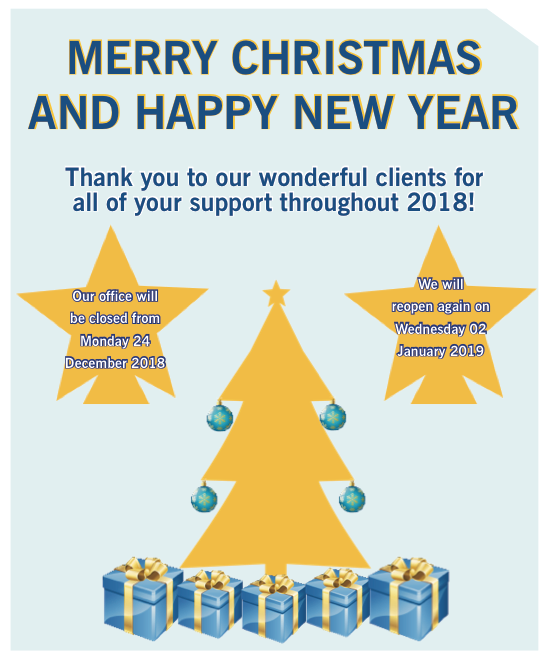 We wish you all the best for the festive season! Check out this fabulous review we received on Google: Williams Real Estate in Williamstown would have to be the most professional agent that I have ever used. Right from the first inspection, the agent on the day asked what I was looking for and suggested another property that was being shown later that day. We looked at many properties that day and NONE of the other agents bothered to ask us this simple question! Then through the approval process emails we answered immediately. All my inquiries about connecting utilities, foxtel etc etc were answered right away. In the past few weeks I have dealt with some very shoddy real estate agents so it was just such a pleasure to deal with professionals who still know what the phrases CUSTOMER SERVICE means. And 10 out 10 to Hayley who looked after my application - great service! "There is alot of confusion in how the current market is performing. Much of this relates to general statistics from across the state which may have little or no relevance to the local market. Stats on their own don't tell the story of how your property is performing. 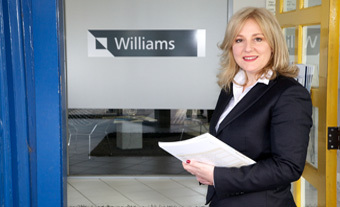 The team at Williams live and work locally and have decades of combined experience in dealing with market fluctuations. Make sure you get a local business which knows our market to assist you in achieving your real estate goals." "The current market represents a great time to sell, buy or lease your property. 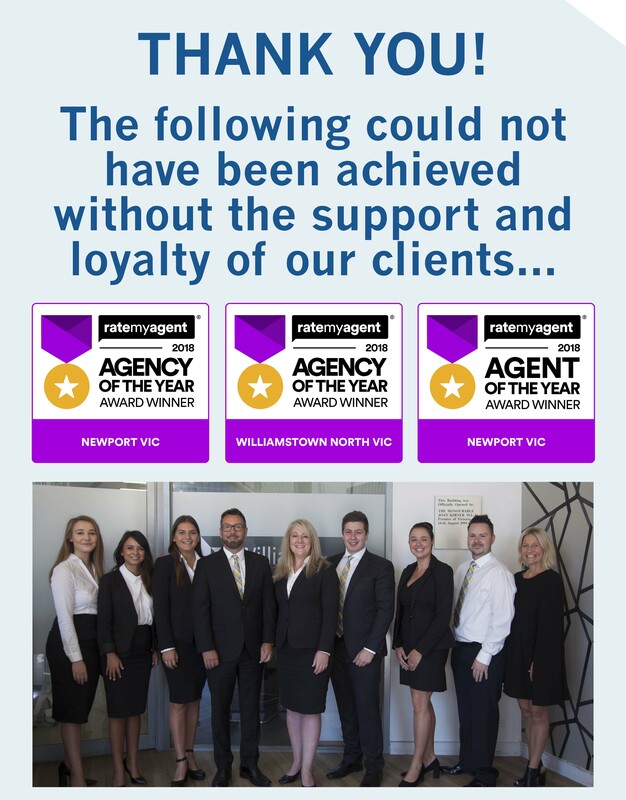 While the seems to craziness has left the market for now, Williams staff have been able to work closely with ourclients and achieve some great results in the current 'normal' market. Our rentals team are leading the way... Leasing over 8 properties in a single week! Call us to see how we can workwith you to achieve your Real Estate goals." 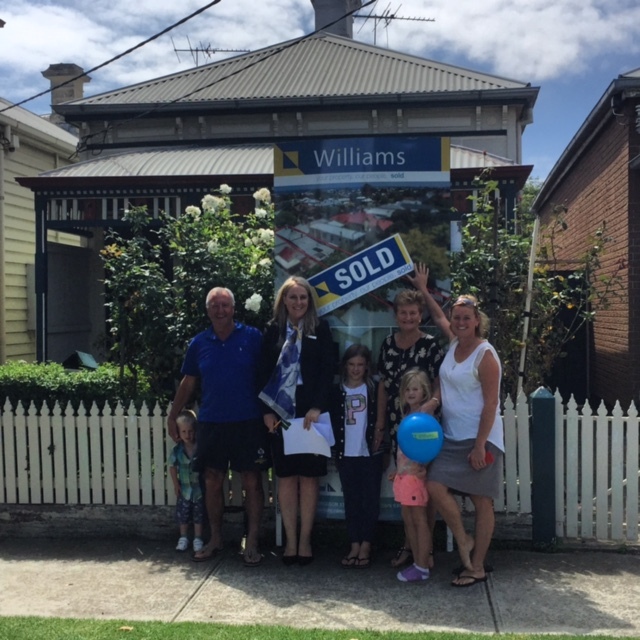 Williams had a great weekend not only selling and renting homes but also supporting our community at Williamstown North Primary School by being the major sponsor for their annual fete. Both our Directors attended this event and had a great time with the 'Williams Beetle' and all those that attended.